If there was a fire in your house, how long would it take a fire engine to reach you? How about two fire engines? Ten? It’s a question insurers need to answer if they are to provide effective cover. The Fire Protection Association is the UK’s national fire safety organisation, with a particular focus on fire safety management for emergency professionals. We also worked on this project with the Risk Insight, Strategy and Control Authority (RISCAuthority), an organisation for the advancement of risk management within the fire and security sectors. 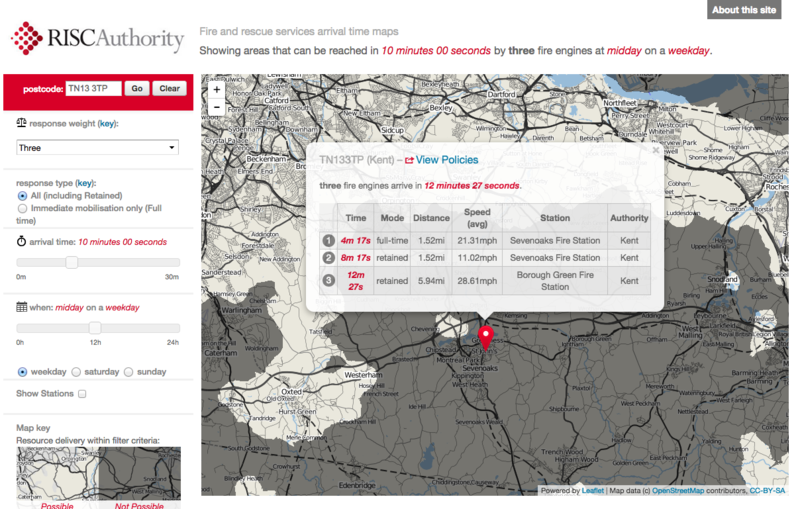 Just how quickly could fire engines reach a given postcode in case of a fire? It’s a question that’s pivotal to decisions made by both the emergency services and the insurance industry. But previously, it has been a challenge to present the data simply, because it involves so many variables. The RISCAuthority approached us with this question: how could we map this crucial, yet complicated data in a way that could be understood by their members at a glance? The end result was an in-browser interactive tool, designed to be immediately comprehensible for anyone at any level of knowledge of the fire services. A user inputs a postcode, and, with the resulting maps, can assess exactly how quickly a fire could be tackled in that area. The different levels of severity are measured by how many response vehicles are required, and changes in this number are immediately reflected on the map. It’s just one more example of how transit-time information can become much easier to understand and act upon, when viewed on a map. 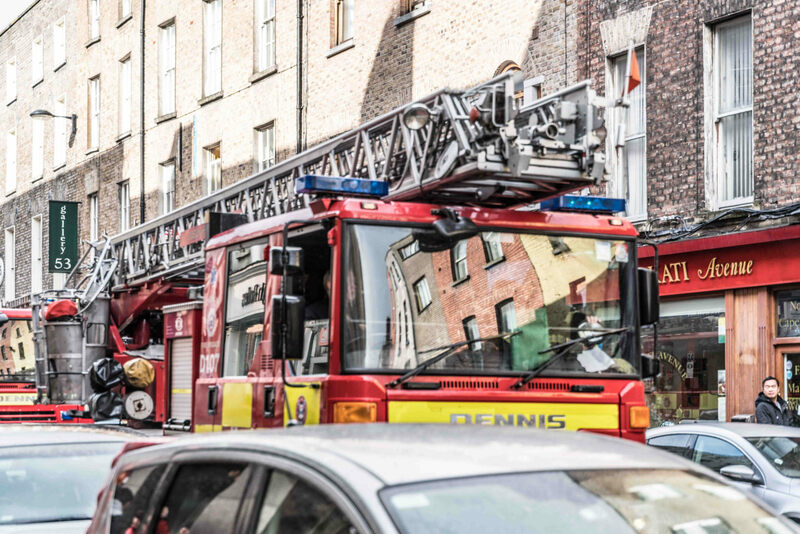 This information helps insurers administer risk control and fire protection advice to their customers in the context of what the Fire and Rescue Services will be able to achieve on their behalf. In the longer term it is hoped such information will impact beneficially on the annual cost of fire in the UK.